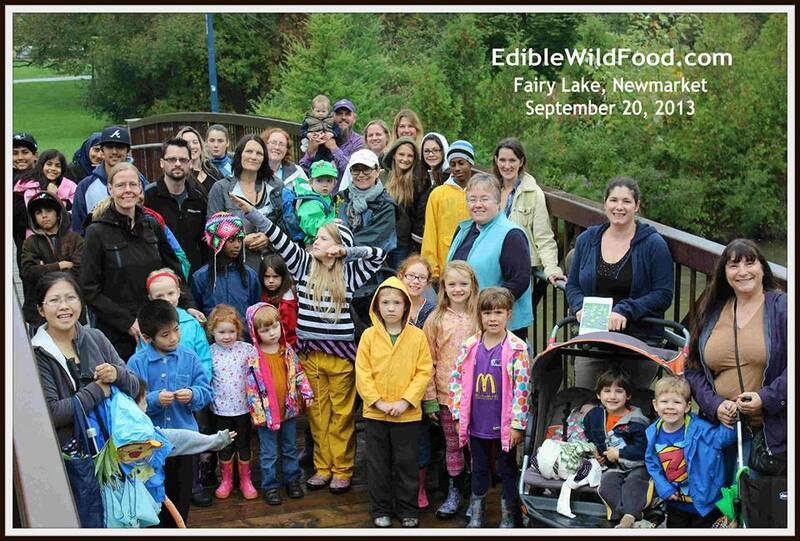 This week we enjoyed another homeschooling event hosted by Karen form WILD EDIBLE FOOD. We met at Fairy Lake in New Market by the Gazebos and did not have to wander far to find our first source of edible wild food. Most of the things we saw were full of numerous nutrients and were great to add to shakes, or teas. If you click on the highlighted names of each plant it will take you to her website Wild Edible Foods and describes what to look for as well as recipes to use each plant in. I have copy and pasted the edible parts info here directly from her website. Edible parts: The entire plant. Young leaves can be eaten raw or cooked. They are somewhat bitter and tedious to prepare because it’s generally preferable (though not required) to remove the fibrous strands before use. Many people blanch the leaves in boiling water before using them in salads in order to make them more tender. Once blanched, plantain can be frozen then used later in a sauté, soup or stew. Seeds can be eaten raw or cooked and can be tedious to harvest. The seed can be ground into a meal and mixed with flour. Dried leaves make a healthy herbal tea. The burs are also fun to collect as they stick together...but watch out for long flowing hair. Sierra had a huge clump matted in her hair which were not much fun to get out. Edible parts: Young leaves can be eaten raw or cooked. The leaves have a mild bitter flavour and can be tossed into salads to add a slight aromatic tang. They can also be cooked like spinach, added to soups, stews, or omelet. Tea is made from the fresh or dried leaves. It is often used mixed with verbena leaves or lovage. This wild edible has been added to beer in much the same way as hops in order to clear it and also to improve its flavour and keeping qualities. Edible parts: Leaves, root, and flower. Dandelion leaves can be added to a salad or cooked. They can also be dried and stored for the winter or blanched and frozen. Flowers can be made into juice, or added into many recipes. The root can be made into a coffee substitute. The root and leaves can be dried, stored and made into tea. Mushroom safety is extremely important and do NOT harvest unless you are positive. I by no means know anything about mushrooms. We were told and Wikipedia confirms to collect young white mushrooms and prepare mushrooms within a few hours. This mushroom can not be eaten after it starts to turn black as pictured below, nor can they be consumed raw. Edible parts: Self-heal is edible and medicinal. The leaves and flowers contain high levels of antioxidants (which prevent cancer and heart disease). It has been used for centuries as medicine. Raw self-heal leaves are edible, suitable as a pot herb and have a subtle bitter taste. Although they taste better cooked, a lot of the nutrients are lost (as they are in vegetables as well) in this process. Toss leaves onto a salad, in a soup or stew or once you have mashed potatoes, add them to this. A cold water infusion of freshly chopped (or dried) leaves makes a nourishing drink. (Boil water to make tea as well.) This is a plant that can help many health ailments. Edible parts: Leaves, stems and roots. Young leaves are preferable however, no matter how far into the growing season be sure to remember that until dried or cooked, stinging nettle leaves will have those stinging hairs – never eat them raw! Nettles make an excellent spinach substitute and can also be added to soups and stews. Nettle beer is brewed from the young shoots. Nettle root is used for medicinal purposes including enlarged prostate and when there is difficulty in urination due to BPH. Nettle tea made from the root can help urinary ailments. Tea made from the leaves is rich in iron and can aid coagulation and the formation of hemoglobin. Edible parts: The ripe grape can be eaten but tastes better after the first frost. They are not that large so eating them as a trail snack is suggested. Making juice from these is a great way to benefit from their goodness and the grapes freeze well so they can be used for juice throughout the winter. The leaves are also edible. They can be eaten in a salad (they have a tangy citrusy taste) or cooked. Throughout the Mediterranean, grape leaves are stuffed with rice, meat and spices. These are known as Dolma and there is also Warak Enab. The leaves can be blanched and frozen for use throughout the winter months. We visited the Toronto Zoo as part of a homeschool group booking and got tickets for $8.00 each! Even though it was over a 2 hour drive to get there we could not pass up that deal! We found out while we were at the zoo that we could have downloaded learning pages HERE by grade before arriving to use on self guided tours. A great resource for anyone planning to visit which we will do for our next visit. We learned the nutrition of giant pandas is unique and is a great example of nutritional specialization, as bamboo makes up 99% of their diet. Due to their inefficient digestion, giant pandas need to consume comparatively large amounts of food in order to get enough nutrients. Giant pandas, therefore, must spend up to 16 hours a day foraging and eating bamboo. While usually eating about 20 kilograms (44 pounds) of bamboo daily, it is possible for giant pandas to eat almost twice that much (38 kilograms or 84 pounds) in a single day. At the Toronto Zoo, nutritionists and wildlife care staff will be responsible for providing over 40 kilograms of bamboo to Er Shun and Da Mao everyday! In addition to the large quantities of bamboo, Er Shun and Da Mao will also be offered leaf eater biscuits with added vitamins and minerals, and some fruits, including apples. If you CLICK HERE you can download the Giant Pants teacher resource from the zoo. Its chock full of great information (above paragraph was quoted from there). Since we saw so many different animals I am mostly just going to post pics. All the girls loves the various climbing areas around the zoo. For our Journal work we searched through these two animal books looking for animals we saw at the zoo. Then we wrote out their names in our journals and drew a picture of one of them.